Unfortunatly I won't be spending my Saturday morning here. I have to work a couple hours today, but the Raleigh Flea Market is one of my favorite things to do on the weekends. I thought I would share a couple pictures from one of my recent trips. 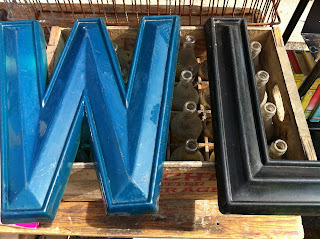 I found these really cool letters for my hubby, his initials. For a long time he has wanted "WL' after seeing it on Boston Legal. Denny Crane, "DC" had some in his office. I have found a bunch over the last year but these were too cool to pass up. They are letters from an old drive in movie theater. 18" tall and plastic, so they could be painted...but I really like the colors they currently are. 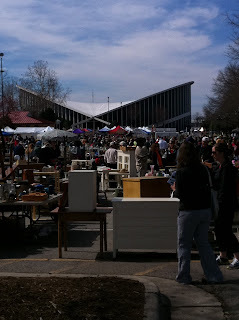 This is one of my favorite booths to check out when I go. This guy is a grumpy old man that doesn't like to come off his prices but he has a large selection of cast iron figurines and metal objects. 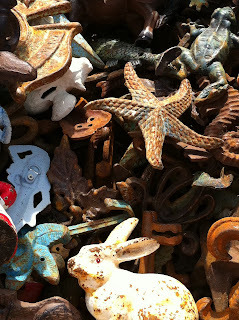 I didn't find anything on my last trip but I have purchased a frog with a crown and big metal keys before. 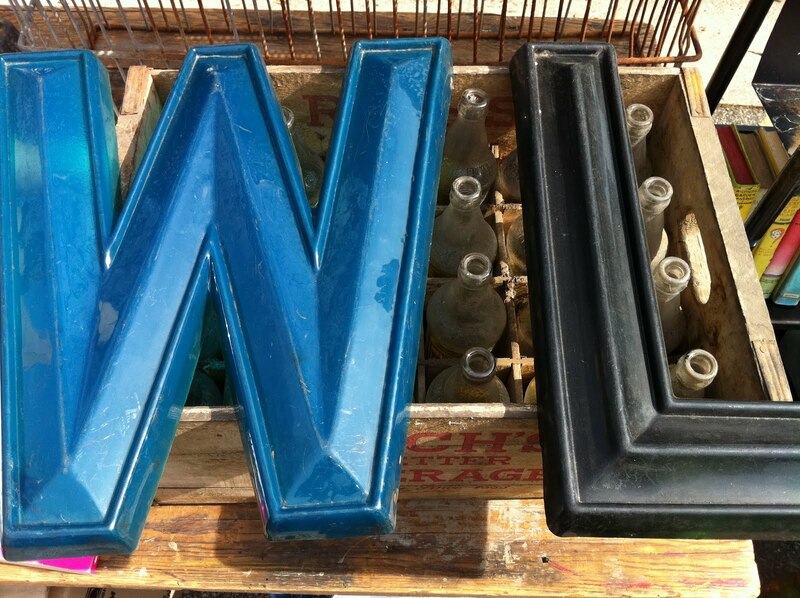 My "WL" letters were $35 for the pair and I also spent $8 on some aqua Ball jars I will be using as accents in my guest bedroom. Stay tuned for that reveal next week.